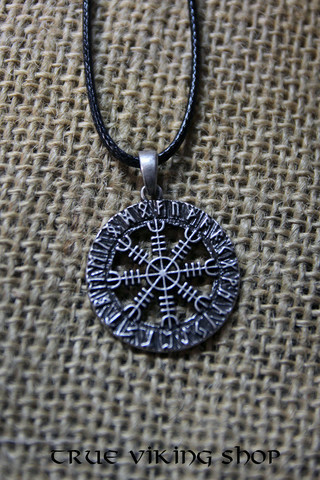 A Vegvísir (Icelandic or Scandinavian 'sign post' or 'wayfinder') is an Icelandic or Scandinavian magical stave intended to help the bearer find their way through rough weather. The symbol is attested in the Huld Manuscript, collected in Iceland by Geir Vigfusson in 1880 (but consisting of material of earlier origin). A leaf of the manuscript provides an image of the vegvísir, gives its name, and, in prose, declares that "if this sign is carried, one will never lose one's way in storms or bad weather, even when the way is not known"